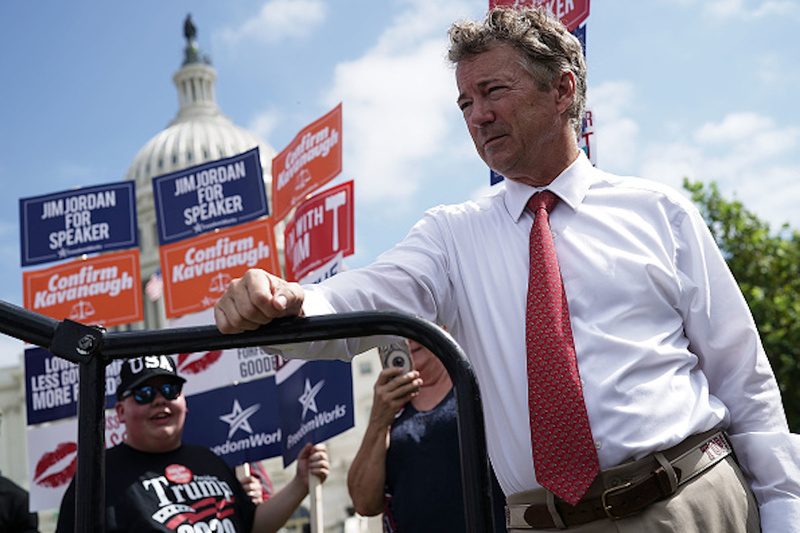 Kentucky Republican Sen. Rand Paul is set to have surgery in Canada in late January to treat an injury sustained when his neighbor attacked him in his front lawn in 2017. Paul will undergo hernia surgery at a hospital in Thornhill, Ontario, during the week of Jan. 21, the Louisville Courier Journal reported Monday. The hospital reportedly focuses strictly on hernia repairs and is “the global leader in non-mesh hernia repair,” according to its website. Paul’s neighbor, Rene Boucher, tackled Paul in his front lawn in November 2017, breaking six of his ribs and bruising his lungs. Boucher, 60, assaulted Paul while he was mowing his lawn. The Kentucky Republican was initially thought to have broken five ribs and suffered contusions after being tackled to the ground. After originally denying the attack, Boucher admitted to running onto Rand Paul’s property and tackling the senator after seeing the senator stacking more brush on a brush pile, in statements to the FBI and Kentucky State Police. Boucher pleaded guilty to a felony assault charge in March 2018.